These 2 bedroom rentals are a great vacation getaway. In the well-appointed kitchen is a full refrigerator, gas stove with oven, microwave, coffee maker, toaster, dishwasher, dinnerware, and all the necessities for a vacation getaway. The full bath contains a shower. In addition to the full-size sleeper sofa, the living/dining area includes a dining booth that seats 6. No pets in this rental, please. 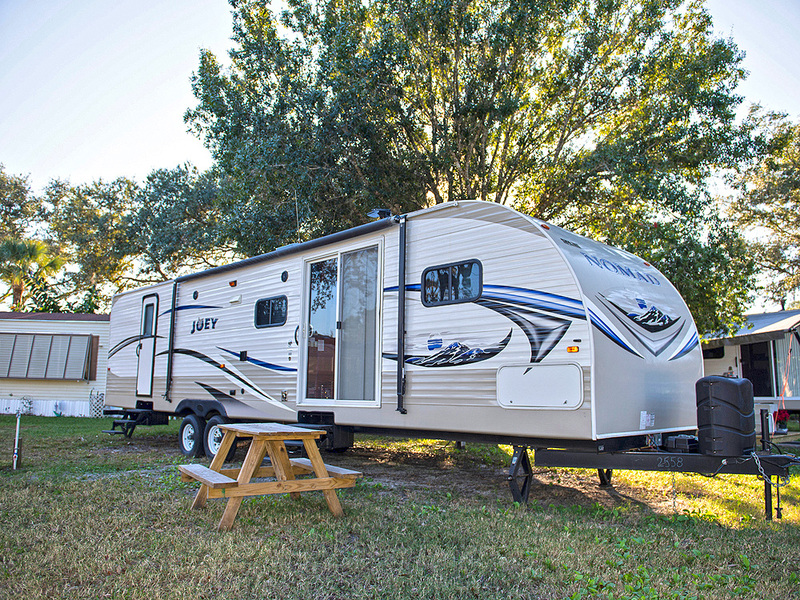 We do not allow pets in some accommodation types; however, we do allow service animals and a service animal may have stayed in the camping trailer. The full amount will be refunded after walk thru and if no damage is noted. A 90 day minimum length of stay is required between January and March. A 3 night minimum stay is required between April and December. 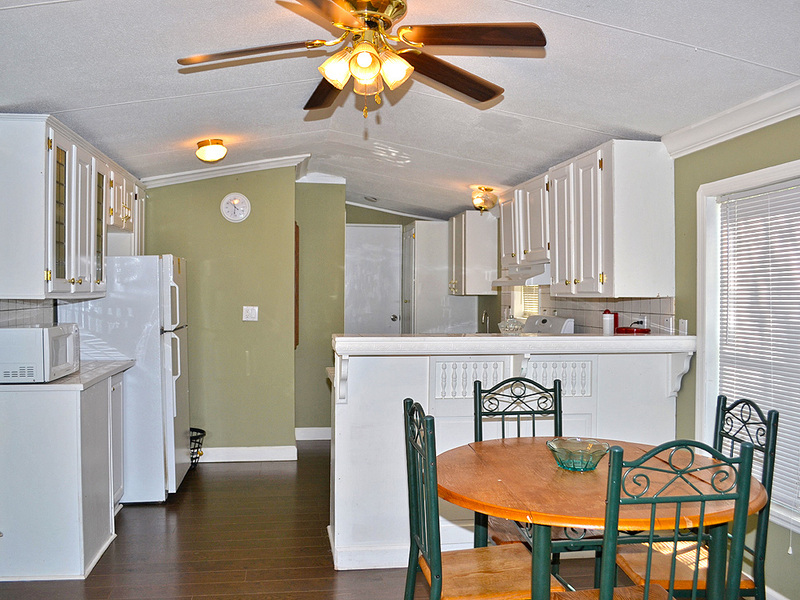 Our 2-bedroom park model cottages are quaint rentals with all the luxuries of home. The comfy master bedroom houses either a double or a queen bed. Additional accommodations include a bunk bed in the second bedroom and a sleeper sofa in the living area. The kitchen is fully equipped with a dishwasher, full-size refrigerator, electric stove with oven, microwave, coffee maker, toaster, and dinnerware for 4. The convenient full bath is furnished with a set of towels. The dining room includes a dining table that seats 4. Outside, a picnic table extends the living space to the outdoors. No pets or smoking in this rental, please. We do not allow pets in some accommodation types; however, we do allow service animals and a service animal may have stayed in the cottage. A $150 security deposit will be charged at check in. The full amount will be refunded after walk thru and if no damage is noted. A 90 day minimum length of stay is required between January and March. A 3 night minimum stay is required between April and December.